Here comes summer! Celebrate the fact teachers are “solar powered” and recharge during the summer months with this new “peace, love, summer break” design. With beautiful lettering, this is sure to be a favorite summer tee. This comfortable flex print design says, “peace. love. 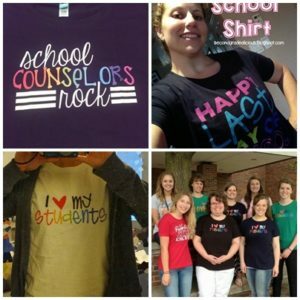 summer break.” It’s a breezy but fun teacher shirt with lots of fabric color options!